KMC founders Michael McCullough, Gregory Kittelson, and Amanda Carpo said the undisclosed amount of investment from AIGF will help the company achieve its growth plan and create more value alongside current shareholders. AIGF key executives believe that KMC commands a strong market-leading position, having developed a set of value propositions that enabled it to capture a huge market share in the Philippines. The firm is excited to work together with KMC in its next phase of growth. Gregory Kittelson, Executive Chairman and Co-Founder of KMC, stated, “We have achieved exponential growth since we founded KMC and [the investment] further demonstrates our commitment to expansion throughout the Philippines”. Founded in 2010, KMC is currently the top coworking provider in the Philippines as well as one of the most dominant players in Southeast Asia, with over 36 office floors in 21 buildings throughout Metro Manila, Cebu, and Iloilo. It also has an impressive roster of multinational clients, including two of the “Big 4” firms, Australia’s largest bank and insurance companies, and multiple Silicon Valley tech giants and unicorns. AIGF’s funding is set to aid the company in expanding its coworking memberships and flexible workspaces in major business districts within the Philippines while maintaining its position as a homegrown national champion in the country’s coworking industry. 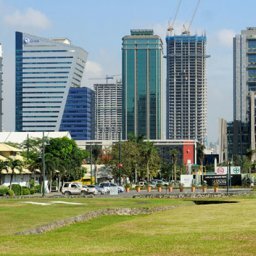 KMC Solutions, a sister company of Makati-based real estate brokerage firm, KMC MAG Group, recently opened a 1,050 square meter business center in Fort Bonifacio, Metro-Manila. This business center was specifically created to cater to the unique needs of Philippine companies looking to avail of seat rentals and serviced offices in major Metro-Manila business districts. KMC’s business center also targets foreign-based multinational companies setting up business operations in Fort Bonifacio, Taguig City.